Fan Game Sonic 3 A.I.R. Discussion in 'Creation Labs' started by Eukaryot, Jun 1, 2018. The game port is done by now, but this is just one milestone during development. There will be updates with bug fixes and possibly new features in the future as well. Sonic 3 A.I.R. 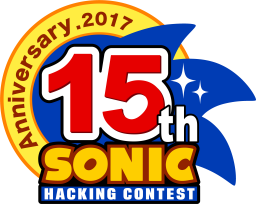 is built on top of the Sonic 3 & Knuckles Steam version. It works in some way similar to an emulator, and gets basically all of its data from the ROM that is part of this Steam release. So in order to play, owning the S3&K Steam game is a requirement! Please make sure you meet the requirements (see above)! Right here I previously reccomended the remastered versions of the game's music tracks by DJSpindash (known as GalacticG here in the forums). These are now included directly in the game. 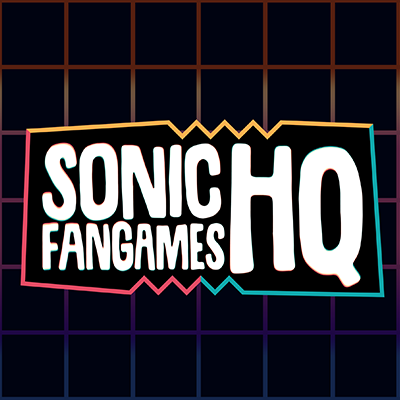 Are you porting all of Sonic 3 & Knuckles? All of the single-player (and co-op) campaign, but the competition mode will likely get skipped. Is this related to the Taxman/Stealth remaster prototype? No, this is a completely independent approach to making an updated version of Sonic 3 & Knuckles. Does this game include the features of Sonic 3 Complete? No, as this is built entirely on top of the original Sonic 3 & Knuckles. I‘ll surely add some custom improvements and options here and there – but recreating all of Sonic 3 Complete is definitely too much work. After the full release, what's next? There are plenty of bugs left to fix and things I want to add into the game, so development will continue in future updates. Is there more than this project page? Last edit (Jan 06, 2019): Updated project description after full release. PopularPossum, Rivison, shaunj66 and 5 others like this. This whole thing sounds awesome! There are better ways of handling it though. I’ve been working on something called sonic worlds mania and I added a lot from sonic mania. Right now I’m working on adding sonic 3 objects like the tails buddy, which is a work in progress. I actually know how to port sonic 3 stages because I have done it before. If we work together we can make an ultimate sonic 3 remastered that you don’t need steam to play! Amazing! Building it off the steam version is cool too. Can't wait for it! I have one thing to clarify, namely what that S3&K ROM requirement is about. 1.) Once it's finished, this project could be a free (and hopefully improved) version of a game that SEGA is still actively selling. And as business goes, this is something they might not easily accept. I know, they are usually cool in this regard and there are instances of fan games and hacks you can say the very same about - like Sonic 3 Complete or the work-in-progress Sonic 2 HD. But I'd like to be more on the safe side, particularly because if SEGA shut down this project, that would be devastating for me personally after all the work put into it. So I chose to at least require any player to have purchased the Steam version of S3&K. This way, S3AIR is only a free "upgrade" and not the whole thing given away for free. 2.) There are technical reasons as well! The game code port that S3AIR runs on is actually very close to the original 68K code. It's more or less the same, just re-written in a scripting language - even the very same ROM reads are used to get the game data. That's why it would be a major change to the whole project to even try to get rid of the ROM dependency. I could of course extract all data needed and store it in separate files, but that would really just make things more complicated and hinder further porting. So until everything is ported over, the ROM will most likely get used in the same way as now. Maybe afterwards, I'll try to change where the data is read from, but even then the time this takes might be spent better on implementing custom improvements to the game. I hope that answers some questions, and makes clear the motivations behind that requirement! francis247uk and Ronald Rose like this. Alright, to be honest I wanted to do the same thing for weeks now. When I saw your post I really just didn't want to be your rival. I'm probably gonna do the same thing, but with my own method if thats okay. If you ask me, the more variety the better. I'd bet we are not the only ones trying to make something similar anyway. I Love the Widescreen Display. If I Make a Genesis Game, Sonic 3 Complete Hack Should Use Widescreen Display Too. But, What About the PC Soundtrack, And the HUD. There are no plans to add the PC soundtrack in the near future. Regarding the HUD, it could be an option (added later on) to switch between the CD/Mania style HUD and the classic Sonic 3 HUD. Oh. Because I Hate Jackson's Music Like The Mini-Boss Theme From Sonic 3 For Example. Maybe Somebody Will Help Give the PC Soundtrack a Added Option Like in Sonic CD (2011). Of Course, PC Soundtracks (From Sonic & Knuckles Collection) Are My Favorite. Are You Going to Use Knuckles in His Same Color (Both in Cutscenes and as a Playable Character) Throughout the Port? I want to have XYZ! Please don‘t ask for features! I am pretty busy for a long time porting over all the original game content, plus all of my own ideas that I‘d like to add to the game. If you are interested in having a look at the game, there is a preview build available for download now! This is more or less just a first prototype in preparation of a real demo, to find technical problems with the game. You know, things like crashes, bad performance, graphics or audio not working - this kind of stuff. If you'd like to give it a try, please let me know if you encounter such issues, so I can fix them. Remember that in order to play, you need to have installed the Steam version of Sonic 3 & Knuckles. You can find all the info on installation and controls in the manual PDF in the download. You got it Early Before Summer Starts. Looks awesome! It's really nice to see that people are still interested in remaking Sonic 3K in some way, so this is cool to see? Do you plan on showing this off at SAGE this year or no? Yes, there will be a SAGE 2018 demo. WizToad, Ronald Rose, Barak and 1 other person like this. I really like the Time Attack mode, I always loved Shadow racing. There's a Problem For Me. When I Tried to Open the Game on My Samsung Computer From my Windows 7 Dell Tower, It Crashed On Me. Can You Fix it Please? You got a private message! The game takes most of its data directly from the S3K ROM, just like the original game code does. This is because S3AIR is for the most part a direct port of the original S3K code, only with some modifications here and there (for widescreen etc.). So everyone wanting to play needs the exact ROM that I was using to build the ported code. Shipping the original game ROM with the S3AIR download is not an option, for legal reasons. So I have to require everyone interested in the game to deliver a ROM on their own. The Steam ROM is the one that I'm using for development, and I can guarantee that it works only for this one. Also, it can be found automatically by the game, making things quite convenient for everyone who owns S3K on Steam. But you are free to try any other combined S3K ROM, and see if it works. This is actually a bit complicated, as you have to modify the "config.json" file (enter the ROM's file name after "RomPath"). The ROM has to be unmodified (not a hack, like Sonic 3 Complete for instance), contain both S3 and S&K, and be 4 MB in size. If the needed game data is present in the right places, the game will accept it and start using this ROM.